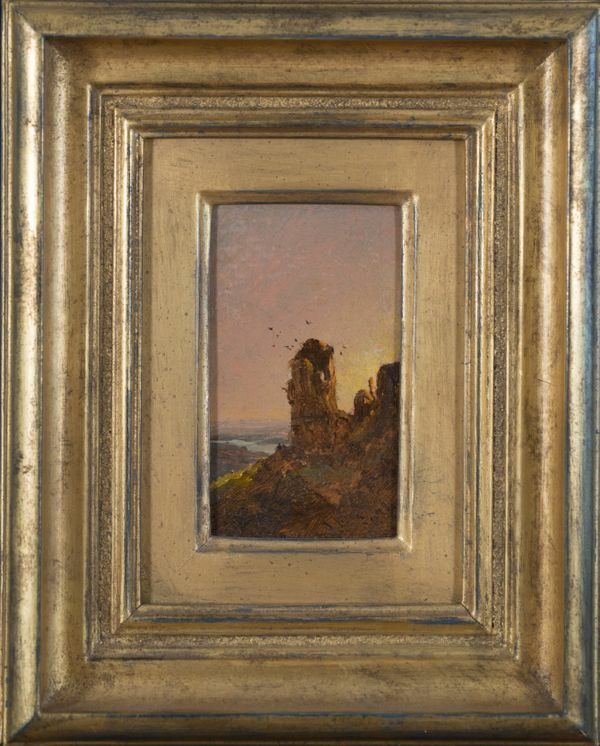 Cropsey's talent for painstakingly re-creating the most minute natural details defined his early work and linked him with the first generation of Hudson River School artists, all of whom shared Ruskin's belief in the value of 'truth to nature.' When Cropsey returned to New York in 1863, following a six-year stay in London, a definite shift in his approach to landscape had taken place. Without entirely abandoning his devotion to accuracy, Cropsey began to emphasize atmosphere and light over solid form. 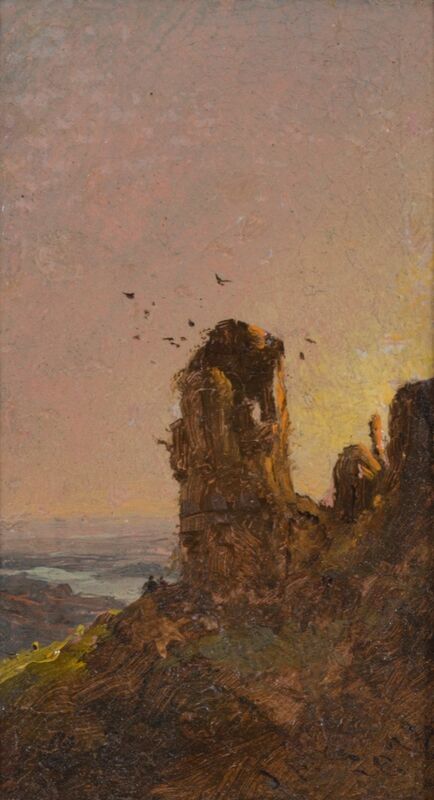 Italian Sunset, which prominently features a crumbling bell tower, very much reflects the artist's lifelong love of structural beauty; the architectural elements also allow Cropsey to play with the way in which the vibrant colors of a sunset reflect and gleam off of stone walls.